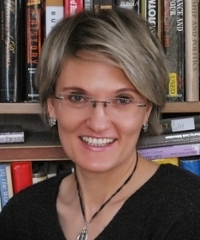 Tanya Bakhmetyeva is the Associate Academic Director of the Susan B. Anthony Institute for Gender, Sexuality, and Women’s Studies (SBAI) at the University of Rochester. She is also SBAI's Associate Professor of Gender, Sexuality, and Women's Studies. Trained in modern Russian history with a particular interest in women’s studies and religion history at the University of Rochester, she teaches courses in a variety of areas including feminism and politics. Since the publication of her recent book, Mother of the Church: Sofia Svechina, the Salon, and the Politics of Catholicism in Nineteenth-Century Russia and France (Northern Illinois University Press, 2016), she has broadened her research to Eastern Europe, especially Poland, Lithuania, and Belorussia, adding to her longstanding interest in gender and religion such topics as masculinity, gender and environment, ecofeminism, and gender and national identity.